If we disregard the fluffy, indirect and funny yet sad exhibition of friendship, we would discover that there is a crisis between Lebanon and the Arab Gulf states. This underlying crisis is mainly related to the “Hezbollah” government headed by a Sunni which is concealing Iran’s practices in Lebanon. These actions aim to transform this small nation into an Iranian colony, without taking into consideration the fate of the Syrian regime. This regime is practically falling, especially after losing its grip on large swathes of Syrian territory, including neighborhoods in Damascus. Senior Saudi official, Crown Prince Salman bin Abdulaziz, receiving Lebanese Prime Minister Najib Mikati and his accompanying delegation for the Arab Economic Summit held recently in Riyadh, has no significant importance. Such meetings are ordinary, normal even, due to the fact senior Saudi officials usually meet, out of courtesy, all delegation heads taking part in conferences hosted by the Kingdom, especially when it comes to the Arab summit. Senior Saudi officials, especially ruling family members, are known for being extremely polite, well-mannered and excellent hosts – following protocol to the letter. This is why we have to put the meeting in its real context without exaggeration. Before and after the talks it would be impossible to discuss any important issues. Important matters being the process of linking Lebanon to Iran through an armed militia with Lebanese members and forming an integral part of “the Iranian Revolutionary Guard” combined with diligent efforts to isolate Lebanon from its Arab environment. What confirms what has been said above, is the presence of the Lebanese Foreign Minister and his appearance in photos. 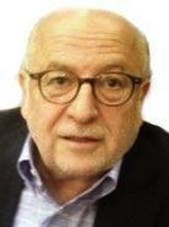 How can they discuss serious issues about the Arab future between Lebanon and any Gulf -Arab state in the presence of Adnan Mansour who is known to be affiliated to the Iranian-Syrian axis? This is impossible, just as it is difficult for any Gulf Arab country not to be familiar and aware of what is happening in Lebanon, like the Iranian “Hezbollah” attempts to control the entire country. The group is trying to control the country by dismantling the Lebanese communities, one after the other, whilst provoking them and setting them against each other. This comes as it is fully controlling the Shiite community that does still have some conscious members resisting the Iranian hegemony and the “guardianship of the jurist” theory. These are clear attempts to distract the Lebanese from the main issue regarding “Hezbollah’s” implementation of the Iranian project, which includes cutting Lebanon's relationship with Gulf Arabs. The Sunni Prime Minister’s visit to an Arab country or European one is not important; what is important is that his visit results in reassuring the people of the Gulf to return and invest in Lebanon again. The Gulf rupture was caused by “Hezbollah” and had clear, significant goals. One of the main ones is widespread misery in Lebanon whilst disrupting the economy and tourism. This plan is being implemented by the current government which is refusing to recognize the dangers it is putting Lebanon in whilst covering up for Iran’s actions in the country. The Iranian project has achieved an important breakthrough on the Christian level too, when it subdued MP Michel Aoun and allied him with Hezbollah. The Iranian project has come a long way, especially now, after ensuring a Sunni cover for its “Hezbollah” government, whose target was to humiliate Sunnis and Christians after the successful control over the Druze community, which is now feeling threatened through the “subjugation” of its leader Walid Jumblatt. The Iranian project has achieved an important breakthrough on the Christian level too, when it subdued MP Michel Aoun and allied him with “Hezbollah”. Aoun is trying to provoke the Christians, so he can set traps for other ones who refused to support him or be engaged in the minorities’ alliance project. This alliance is supported by the Iranian-Syrian axis and ultimately serves the Israeli project, which has the support of the “resistance” forces. Instead of wasting time on who met with whom in an Arab or European country, the best thing the Lebanese Prime Minister could have done, regardless of his name and affiliation, is to stand in the face of the attempts aimed against his community, its union and resilience, at least, in the face of the Iranian project. Perhaps the first thing the Lebanese Prime Minister is supposed to understand is that the current Iranian goal is to cut the wings of the Sunnis -- similar to what happened to the Christians through Michel Aoun. Is he ready to be another Michel Aoun? To sum it up, the only aim behind the insistence of Hezbollah on which electoral law is chosen is to create a conflict between Sunnis themselves, just like it unsettled the Christians and dominated the Druze. Apparently, it only requires one community to be armed in Lebanon in order for it to control all Lebanese territories. This is only actually achieved through the weapon aimed at the defenseless Lebanese people, including the Shiites, which is through Iran’s “clean” money the purchase of lands owned by Christians and Druze is helping link Hezbollah’s mini-states to each other at the expense of the Lebanese institutions. All the discussion about the importance of meetings between the Lebanese Prime Minister and any Gulf or European country is nothing but an illusion and is misleading the Lebanese. The inevitable question raised is: Did any of this contribute in the return of one Gulf citizen to Lebanon? Can the government, or should I rather say, does the government want to do anything to rebuild the broken down bridges with the Gulf? The answer is that it is both impossible and likely. It is possible, if the Prime Minister is convinced he is used as a Sunni cover for the Iranian project and should therefore resign. But, can he choose to that resignation on his own? The article was first published in Arabic on Jan. 27 in Elaph.